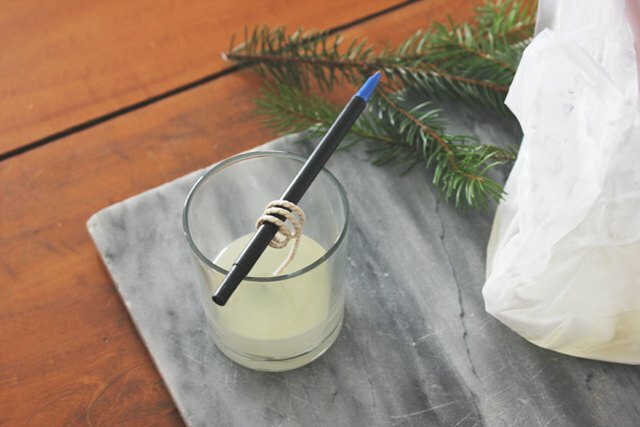 Gather all of your supplies so everything is nearby when you begin making your candle. This will be a layered candle, with three layers of wax and two layers of coffee grounds. Place the anchor of the candlewick inside the center of a glass jar. 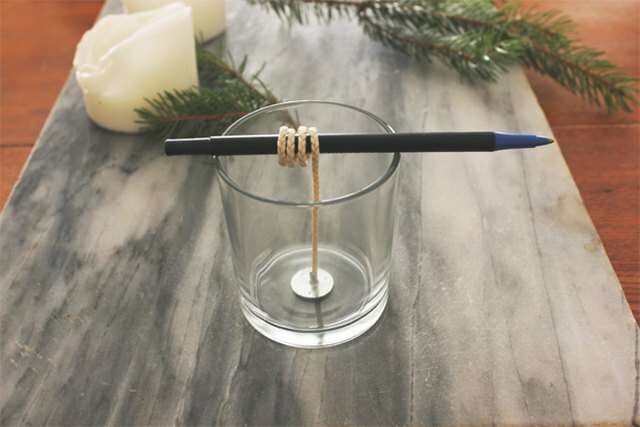 Wrap the excess wick around a pen or pencil to keep the wick upright when it's time to pour the wax in the jar. Make sure you position the wick in the center of the glass jar. 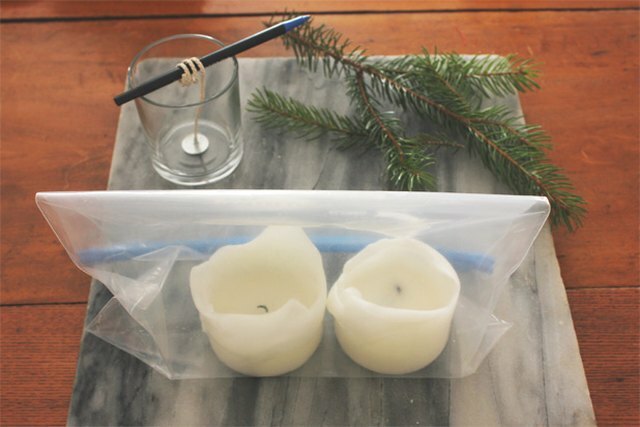 Place the used candles in a heavy-duty plastic bag and seal the bag. Heat 4 cups of water in a saucepan. Do not bring the water to a boil. Low-medium heat is a good heat setting for melting the wax. Put the bag of used candles into the hot water. 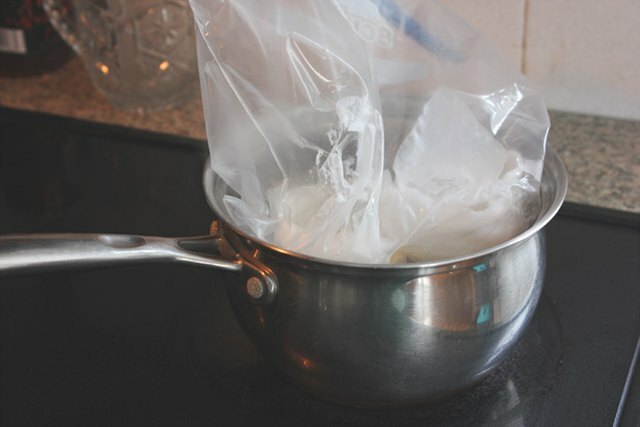 Watch it carefully to make sure the plastic bag does not melt. The wax should melt within 7 minutes. 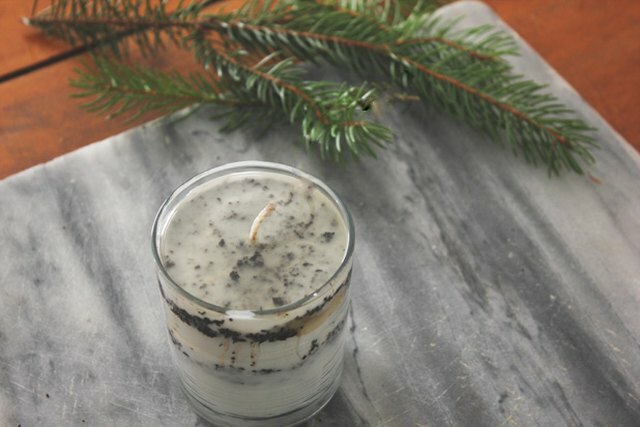 If you want to bump up the aroma of your candle, add a few drops of coffee or vanilla extract to the melted wax. 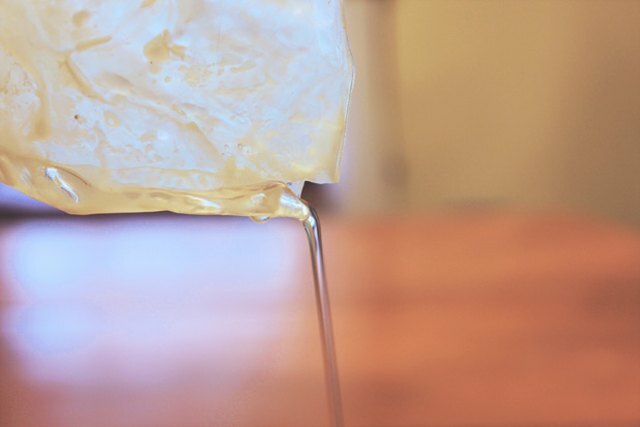 Cut the tip off of one corner of the bag and carefully pour a layer of the wax into the glass jar, about 1 inch thick. Reposition the wick to the center if necessary. Sprinkle a layer of the coffee grounds on top of the melted wax, making sure to create an even layer of coffee grounds, about 1 inch thick, on top of the first layer of wax. Pour another layer of the melted wax over the layer of coffee grounds. Follow with another layer of coffee grounds. If the wax has hardened, dip it back in the hot water until it melts again. Once the wax has melted, pour the last layer of wax on top of the coffee layer and let it harden completely, about an hour. Trim the wick to one-quarter inch. 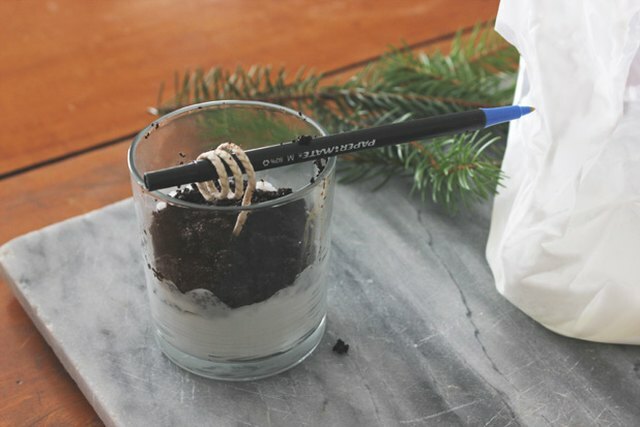 If you plan on gifting it, gather up some scrap fabric and ribbons and use them to dress up your new candle. Old holiday ribbons make excellent adornments. If you are keeping it to enjoy at home, decorate it as you wish and find an area to proudly display your new coffee ground candle. If you only have scented candles, they will work just as well, but make sure the scent pairs well with coffee. Vanilla or peppermint works best. Two used candles were used in this project. You may need more or less depending on how much wax is leftover in your used candles. 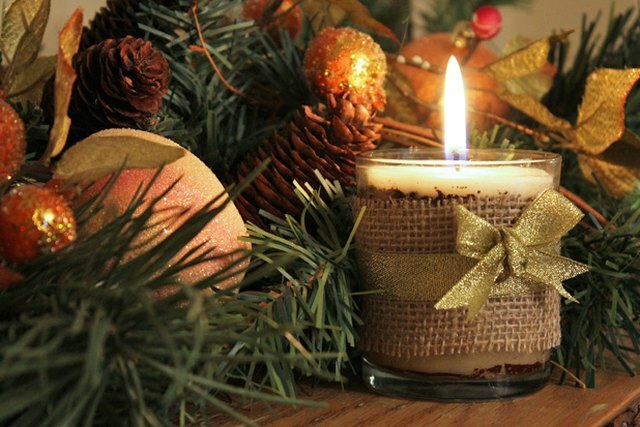 Soy wax, beeswax or paraffin wax can be used to create a coffee ground candle. This project uses hot water and hot wax so watch children carefully while making your candle. Use caution when handling the melted wax. Be careful to avoid dripping wax on skin as it may burn. Cleaning candle wax off of a coffee table without damaging it is really easy to do with a couple of household items.